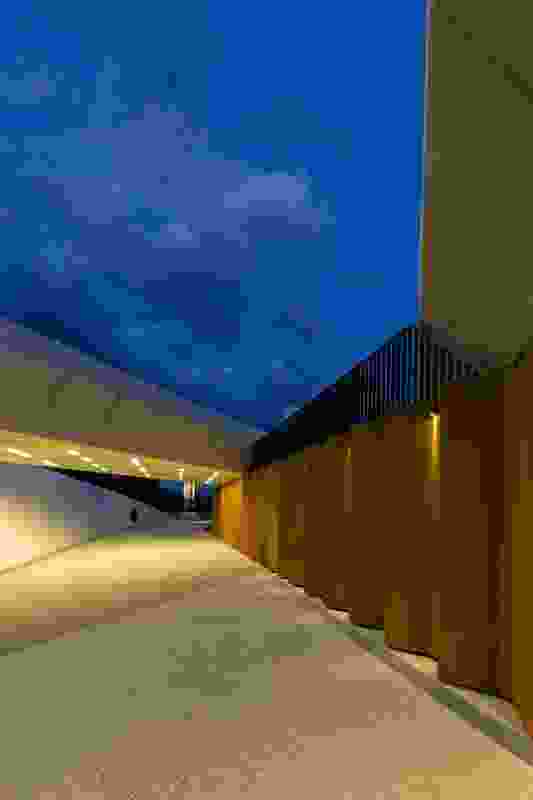 Bowen Place Crossing by lahznimmo architects and Spackman Mossop Michaels. 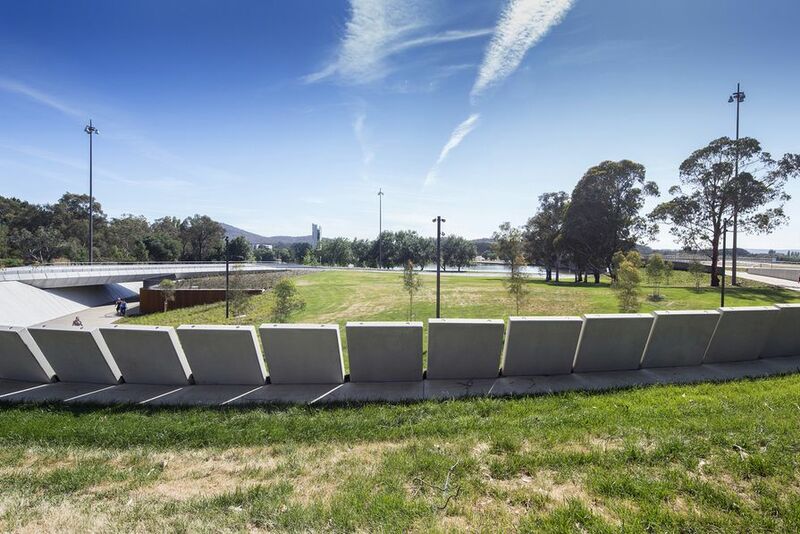 Bowen Place Crossing provides an elegant design solution to a significant disconnect that existed between Canberra’s Parliamentary Triangle and the major pedestrian spaces located around Lake Burley Griffin. 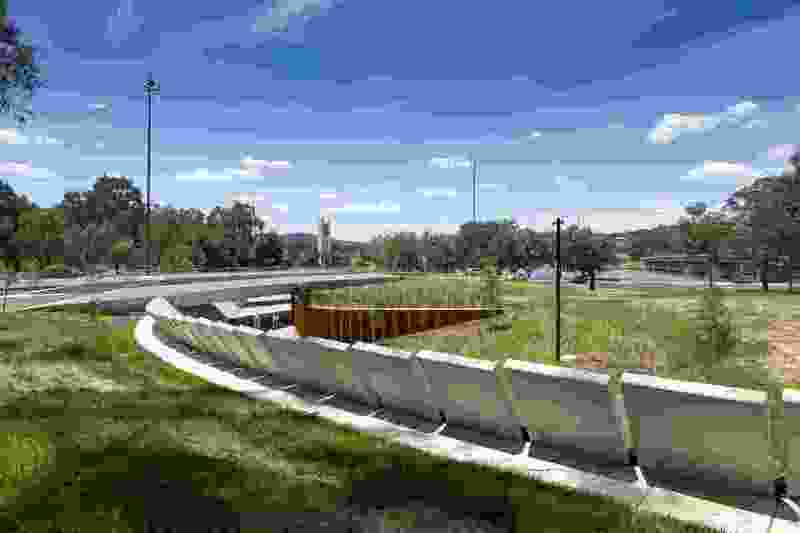 The quality of the design is most pronounced in the experience not being just an underpass, reinforced through the sophistication of the materials used and the simplicity of the landscaping. 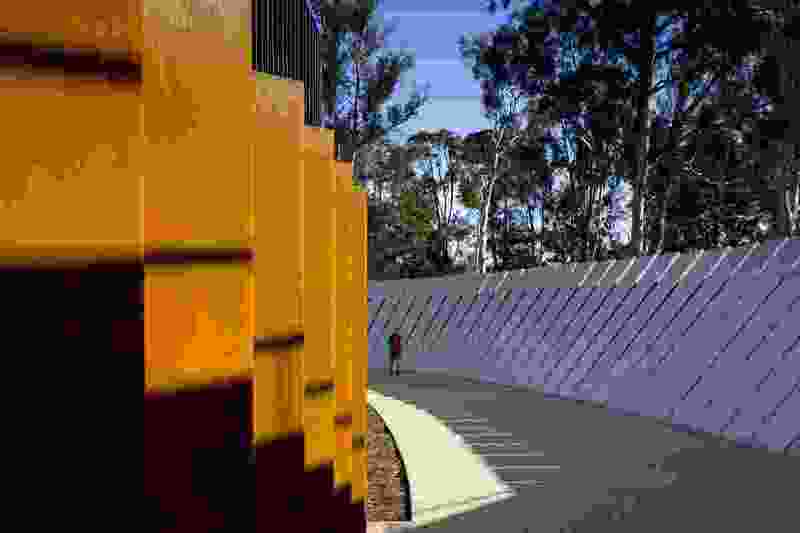 A new pedestrian and cyclist underpass that speaks to the existing geometries of Bowen Place and the National Carillon. 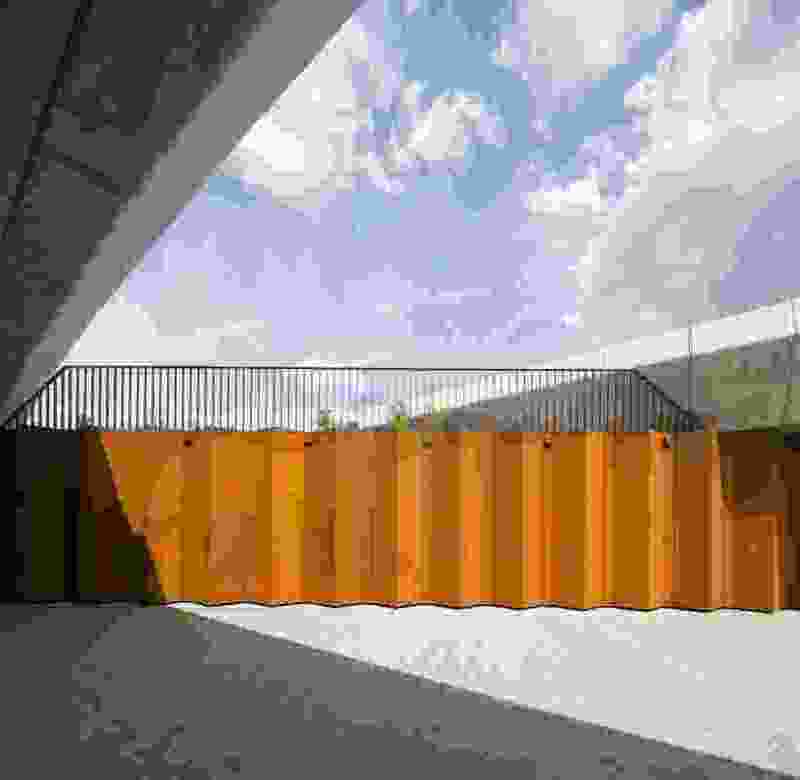 It is contained by two wall types, the Deferential Wall – a taut smooth off-white pre-cast concrete; and the Assertive Wall – composed of a deeply profiled weathering steel. 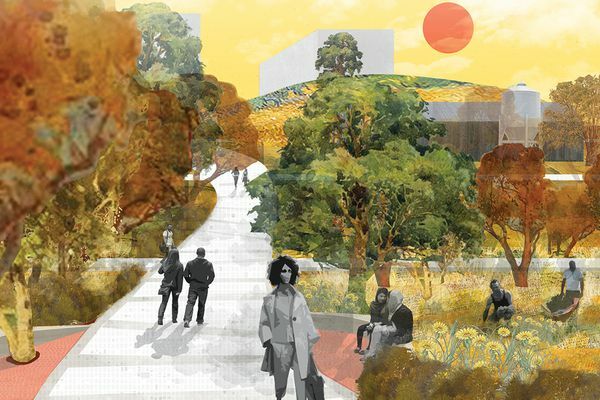 lahznimmo architects were invited to participate in a select design procurement competition set by the National Capital Authority (NCA) to design a new pedestrian and cyclist crossing for Bowen Place. 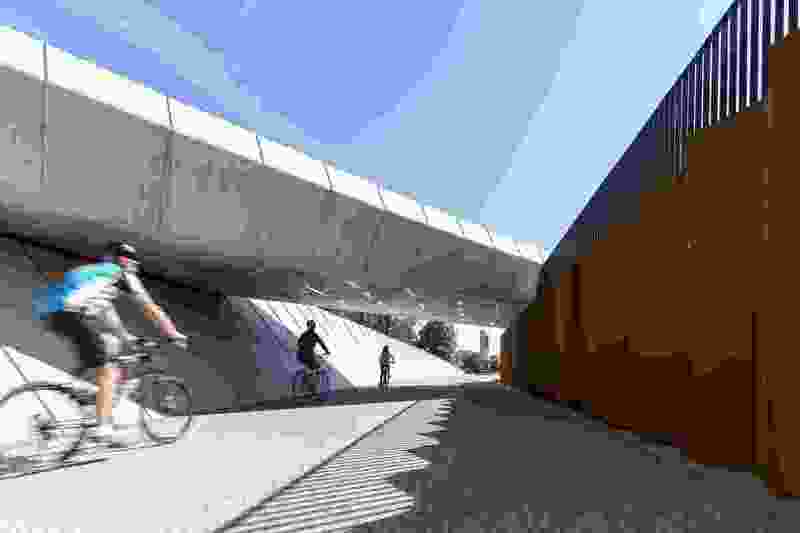 Bowen Place Crossing is more a piece of public infrastructure than public open space. 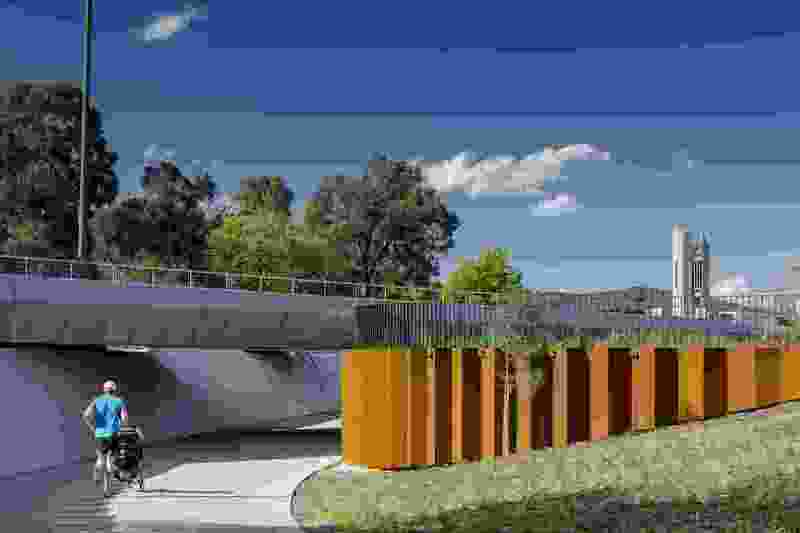 It has an important functional role to provide safe and equitable access for pedestrians and cyclists from Kings Avenue to the foreshore of Lake Burley Griffin, whilst resolving the need to bridge over this access through the continuation of Bowen Drive. 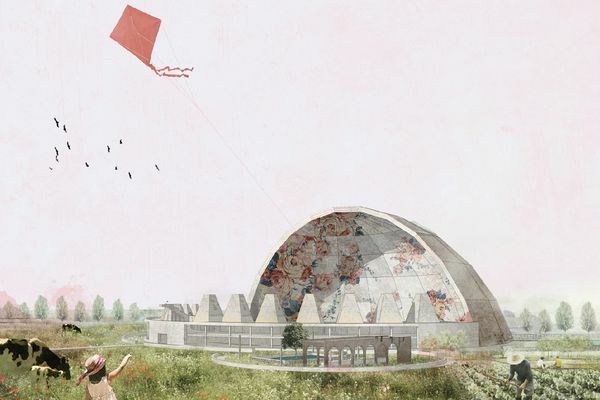 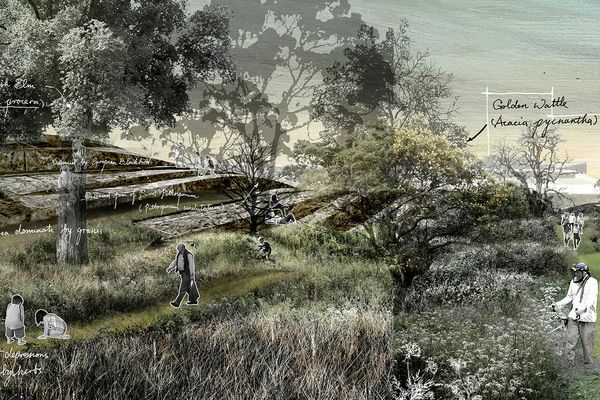 The design solution could have been treated as a civil engineering project, with ancillary landscaping to the edges. 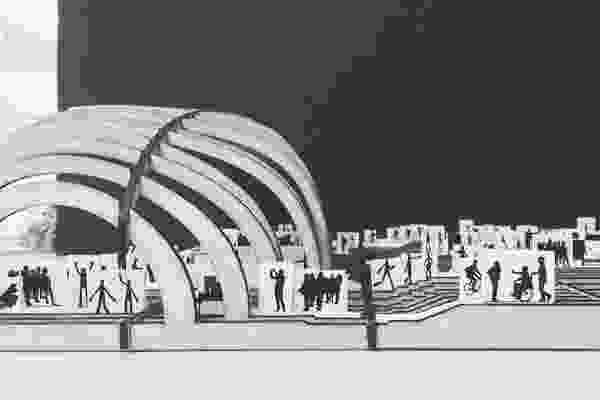 Through its procurement and realization, the National Capital Authority have set an important precedent for how infrastructure projects can be imagined as significant urban design projects that combine the skills and input of urban designers as well as engineers in order to achieve a functional, beautiful and memorable outcome. 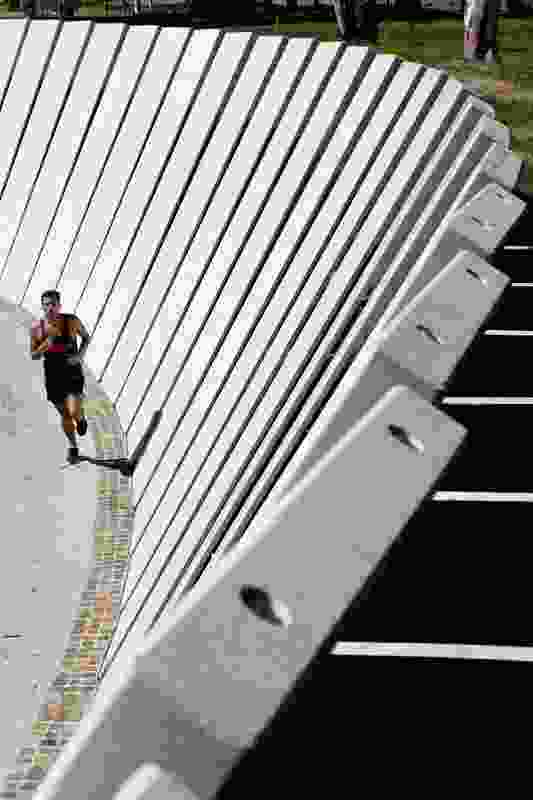 Read the review of Bowen Place Crossing by Roger Pegrum. The Australian Urban Design Awards is convened by the Planning Institute of Australia and organized by Architecture Media. 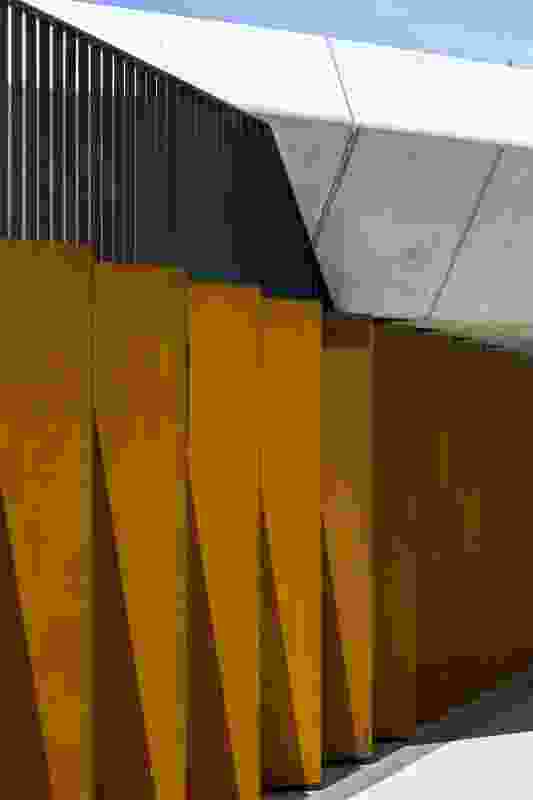 The awards program is supported by nine peak bodies from across the built environment – the Planning Institute of Australia, the Australian Institute of Architects, the Australian Institute of Landscape Architects, Green Building Council of Australia, Australian Sustainable Built Environment Council, Consult Australia, Engineers Australia, Urban Design Forum and Government Architects Network Australia. 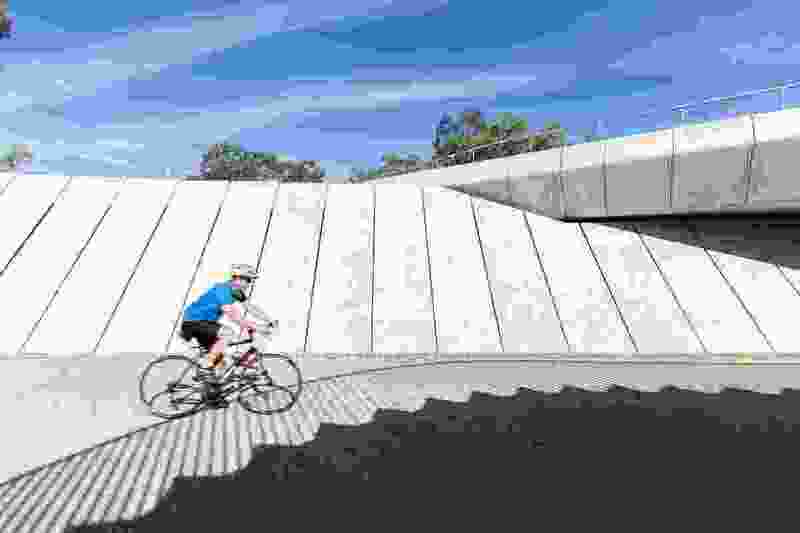 In 2016 the principal partner is Cement Concrete and Aggregates Australia with supporting partners Holcim, iGuzzini, PTA Landscapes, Queensland Government and Concrete Masonry Association of Australia.